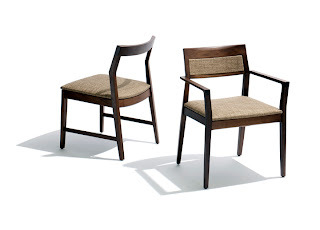 Knoll Studio introduces the new Krusin side chair. Through an inherent and graceful visual silence, the Krusin Wood Guest Seating Collection maintains a simple linear form that is able to harmonize with a multitude of sophisticated design styles. 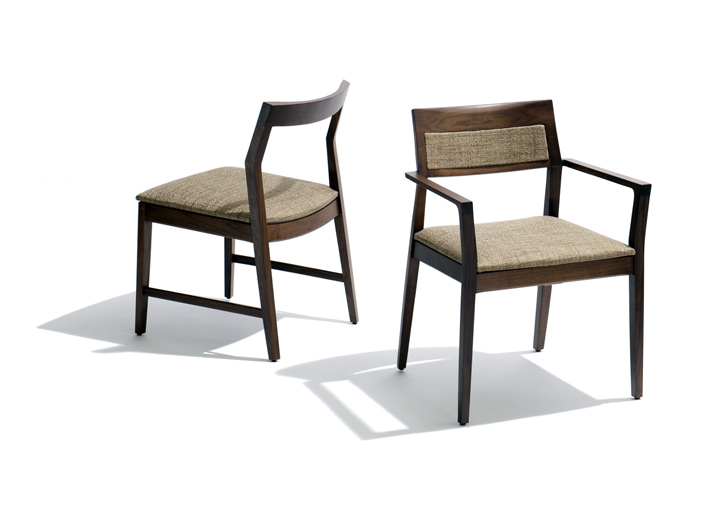 • Collection includes side and lounge chairs, with or without arms, upholstered or woven paper rush seat. • Side chair available with upholstered inset back. • Solid wood options in Ash, Beech, Oak and Walnut are available in a broad palette of natural finishes along with contemporary low sheen finishes and high polished lacquer. Krusin to RJE Business Interiors located at 621 E. Ohio Street, Indianapolis, IN 46202. We have several chairs located in the showroom.